Incallajta sells high quality fairly traded handicrafts, clothes, jewellery, bags and accessories, all carefully sourced from Bolivia. They work on the basis of Fair Trade, selling an exclusive range of Bolivian designs. These are produced by skilled craftspeople and small women’s cooperatives in the cities of La Paz, Cochabamba and Santa Cruz. 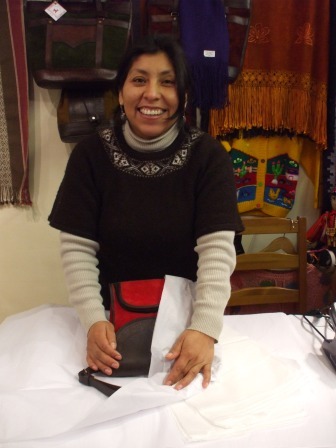 In buying these products you are supporting the craftsmen and women in Bolivia who have the responsibility for the heath, education and well-being of their families. 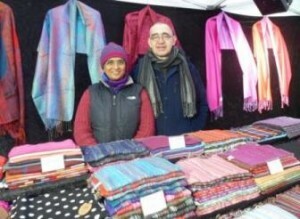 Sheela & Chris of York Scarves at the York Fair Trade Market. From small beginnings in 2007, York Scarves has grown into a thriving BAFTS registered fair trade UK enterprise which specialises in the weaving and supply of wholesale scarves, pashminas and shawls from India and Thailand. York Scarves is now one of the UK’s premier wholesale scarf suppliers. All’s Fair aims to bring you the finest fairly traded gifts, homewares, toys, jewellery, and accessories from around the world. Based in Selby, they trade at markets and events around Yorkshire including Living North Live twice a year at York Racecourse as well as online. You’ll find a small range of All’s Fair crafts at the summer stalls where York Fair Trade Forum exhibits. In buying these products you are supporting skilled artisans working in harsh conditions around the world, from Rajasthani metalworkers to Kenyan jewellers and soapstone carvers, Vietnamese embroiderers, women in Thai hill tribes who use traditional weaving styles and Nepalese knitters. 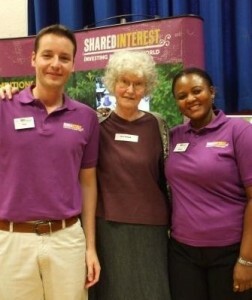 Fair Trade Forum member Sylvia standing in between Shared Interest staff Paul and Rachel at the AGM at York St. John University. 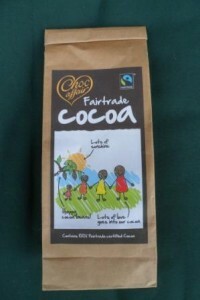 Shared Interest provide vital investment for Fair Trade producers and businesses. This year they chose our beautiful city for their pivotal AGM. 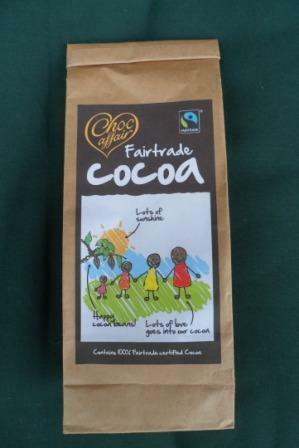 Several members of the York Fair Trade Forum attended and came away mightily impressed with the organisation and the contribution it makes to the Fair Trade movement. The picture above shows Fair Trade Forum member Sylvia standing in between Shared Interest staff Paul and Rachel at the AGM at York St. John University. Shared Interest’s mission statement wants to see a world where finance reaches those communities that most need it. 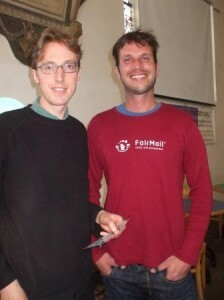 They provide loans to fair trade producers and small businesses. The loans are financed by the investment of shareholders who are ordinary people like you and me. Shared Interest are happy to accept for investment quite small amounts of money for small periods of time. If you would like to know more go the Shared Interest website. In May Peter and Janneke, from Fairmail Cards, visited York and gave a fascinating talk at the Spurriergate Centre about their work. Fairmail Cards is the first photographic greeting card supplier in the world. The photographers are all teenagers from Peru and India, and 50% of the profits on each card go directly to them for housing and education. They are also offered photography training and medical insurance. This is a fantastic start in life for many youngsters, who would otherwise struggle to find work. They have already come up with some brilliantly creative designs. You can buy Fairmail cards from the Shared Earth shop at Minster Gates. Click here to view the Fairmail website. We dare you not to be tempted at the website.